A Granite Gear Classic. 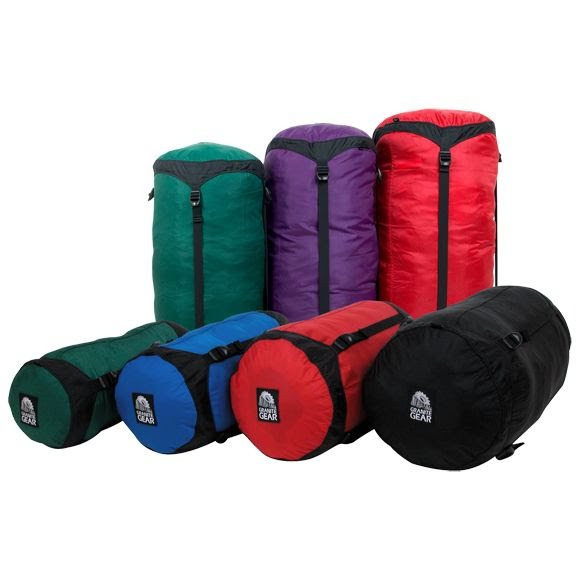 They designed these stuff sacks to easily compress lofty items such as sleeping bags and clothing to a nearly rock solid state. The unique design evenly distributes the stress of compression and prevents bulging. The original: often copied but never equalled. Accept no imitations! Compress your lofty items to a rock hard state without bulging. Colors: Assorted - for specific color selection please call our customer service!